I recently went to the David Bowie exhibition at ACMI and the Melbourne Aquarium, and for both of them I bought my tickets online and got an e-Ticket on my phone. That meant I didn’t get actual paper tickets, which was a pity because I like tickets. I keep all my entrance tickets when I’m travelling and I’ve got a shoebox full of them – from museums and galleries to temples and towers. Included in this bunch are Disneyland tickets bought 22 years apart, a very 1930s-looking Empires State Building ticket (and no, I didn’t go there in the 1930s – I’m not that old! ), a very simple 1989 sports event ticket and a full colour sports ticket from 2009 and a poignant ticket to the observation deck at the World Trade Centre. 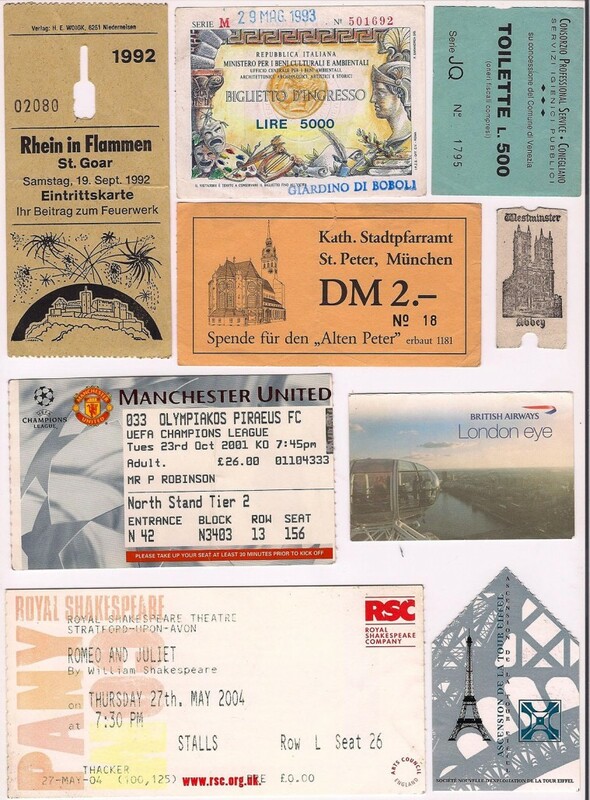 Tickets are also a great momento of a place, time and event, whether that’s seeing my first Champion’s league game at Old Trafford or my first Shakespeare play (at the Royal Shakespeare Theatre in Stratford-Upon-Avon no less) or the best fireworks display I’ve ever seen at Rhein in Flammen in St Goar, Germany. I even kept my ticket to a rather average toilet in a service station in Italy. 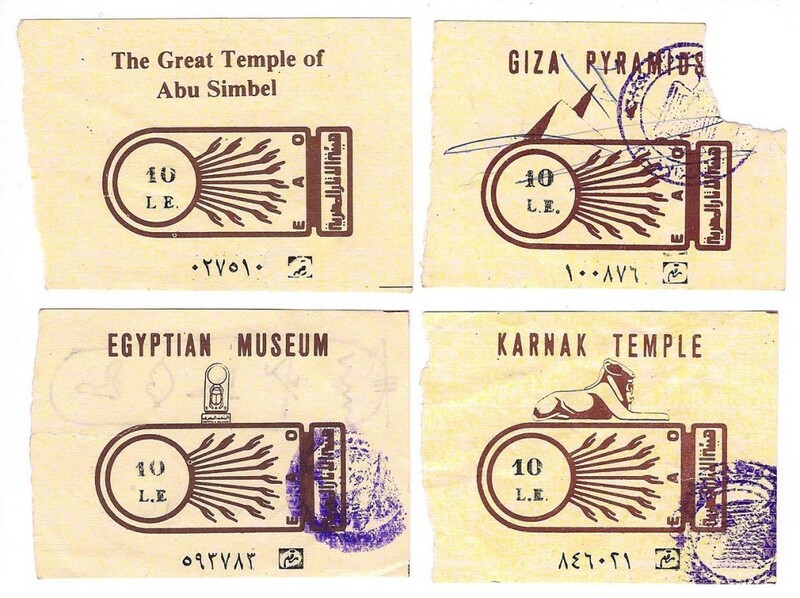 I loved it that no matter where you went in Egypt the tickets all had the same design – and all cost the same as well! This is where the elaborately decorative tickets come in. Or simply elaborate – the ticket to the Great Wall in China was made of thick plastic! 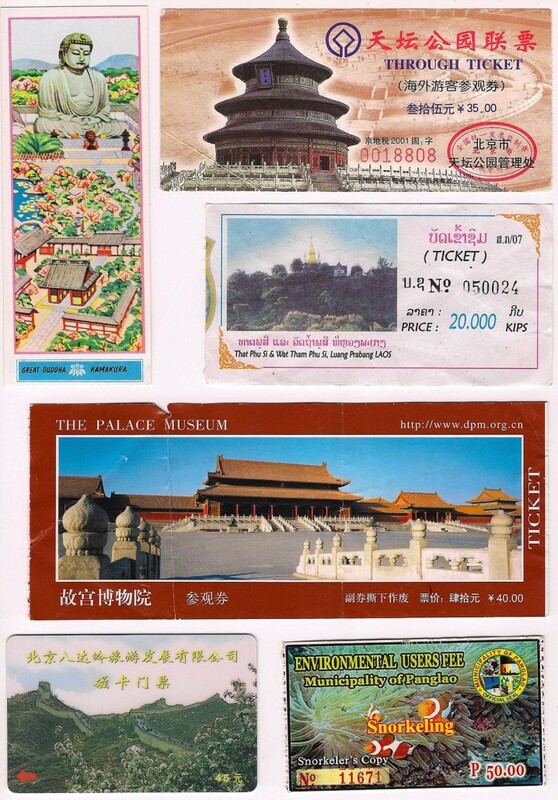 The tickets to many of the sites around Asia are almost as good as the actual site you’re visiting. My ‘snorkelling’ entrance ticket that I got in the Philippines all looked very nice, but I didn’t find Nemo anywhere! 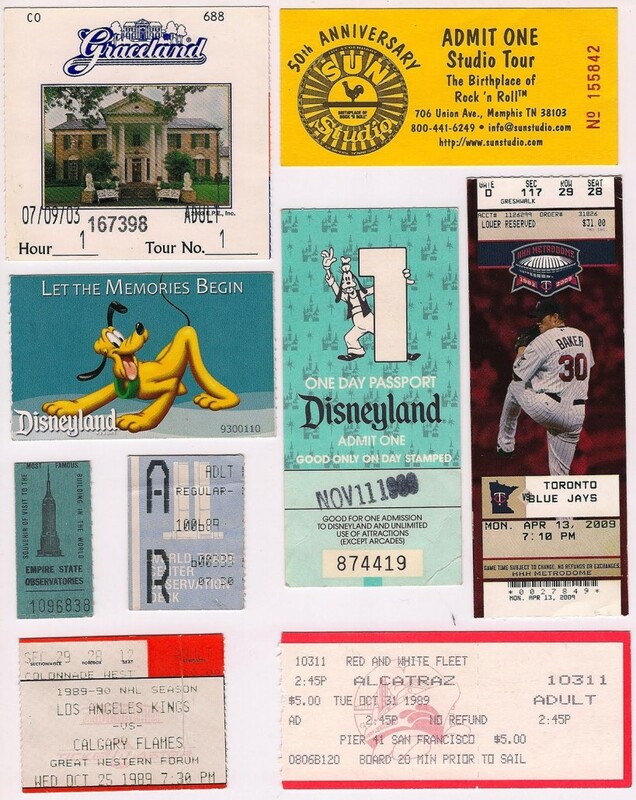 Hopefully in the future everything doesn’t turn to e-Tickets, because not only do they make for a great souvenir of your travels, you can remind yourself where you actually visited. Love your blogs – and your books! How Pan Am inspired me to travel. The best breakfast in the world.